A one day introductory workshop of “Pariksha de hanste hanste” was conducted on 16th November 2016 at Venkateswara College, Dilsukhnagar, Hyderabad for 250 students which included both boys and girls. Sadhana diwas was observed on 19th November in Ameerpet, Nagole, Dilsukhnagar and on 20th November 2016 in Kaushalam in Hyderabad. In all about 100 karyakartas participated in their respective nagars. At Kaushalam, van bhojanam was organized after the program. 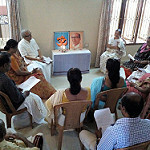 VK Thiruvananthapuram observed Sadhana Diwas - Man.Eknathji’s 102nd Birth Anniversary on 19th Nov 2016. Malayalam version of the letter from Man.Nivedita didi on Sadhana Diwas and Kendra Prarthana were discussed. 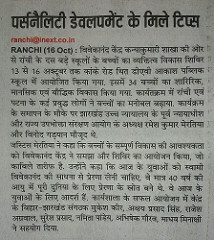 Wellwishers, Patrons and members of Yoga Varga took part in the Abhyas satra. 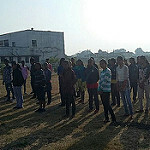 Total 22 people participated in the programme. The program of Sadhana divas was organized at Kendra Karyalay at Karnavati on 20th November, 2016. 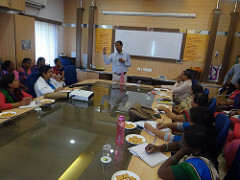 Dr Chetanbhai Bhatt , Praincipal GEC college, Gandhinagar was the chief guest and speaker for the day. Shri Nalinbhai Pandya, Karnavati vibhag pramukh briefed about the activities of the Kendra and welcomed all the participants, followed by the song by shri Ankit Savani. 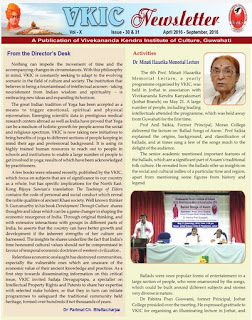 Dr Chetanbhai Bhatt talked about the tatvik chintan behind the working philosophy of the Vivekananda Kendra. He said that Kendra is triveni sangam of karmayog, bhaktiyog and gyanyog. That’s why we are spiritual oriented service mission. He further shared that the life of man. Eknathji was an example of combination of these triveni sangam. The program was followed by Kendra prarthna and high tea. Total no of 35 karyakartas were remained present in the program. 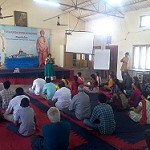 Sushri Dhruma Pinara anchored the sadhnadin program. Study materials distribution at Nachiketa samskara varga, Krishnamurthy puram. Chief Guest Sri Mohan. Cultural examination on Swami Vivekananda and his life at Govt P U College, Kuvempu Nagar and jayanti celebration . Main speaker Su. Soumya Didi. 1. Ma. Ekanthji by Ravi Kumar, Kumar, Tarun. Sadhana Diwas celebration at J S S Hostel , Laxmipuram, Chief Guest: Sri Satyanarayana Murthyji. 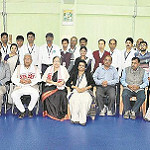 GUWAHATI, Nov 14 - India has made rapid strides in space research within a short span of time, and we can expect significant breakthroughs in the near future. 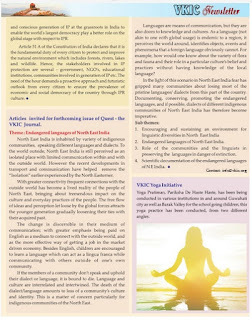 Today, the world recognises India’s capacities in this field, which was not the case earlier. This was one of the views expressed by distinguished scientist Dr Jitendra Nath Goswami at the tenth Vedanta Vachaspati Radhanath Phukan Memorial Lecture – ‘From a Fishing Hamlet to Moon and Mars’ – organised by the Vivekananda Kendra Institute of Culture recently. Dr Goswami said there is a whole range of technology that ISRO has mastered in the area of space exploration through the dedication of its scientists, many of whom are women. “Working in six or more separate areas, they have come up with ideas and inventions which have been synergised to develop technology for producing both satellites and launch vehicles. 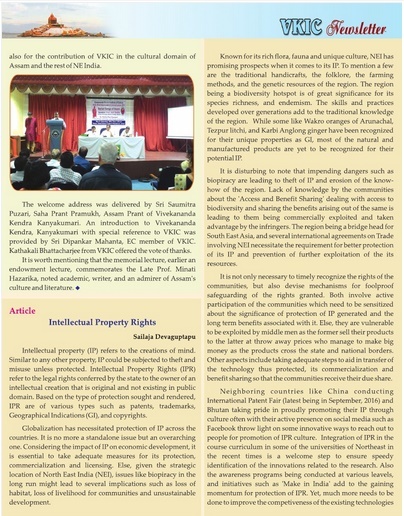 Many of the technologies were created indigenously because those could not be purchased by India from foreign countries which own them,” he observed. Stating that the success of the Chandrayaan 1 has shown that India is capable of planetary exploration containing many challenges, Dr Goswami said space exploration, including ones like the Chandrayaan Mission, is unforgiving and that there is no scope for error. On ISRO’s Mars Orbiter Mission, he said its success is significant, because India achieved it through a relatively modest budget, and did it on the very first attempt. Currently many nations have come forward to collaborate with India taking the country’s space technology very seriously. Today ISRO’s payload delivery system is so reliable that many other countries and foreign companies use its launch vehicles to put their satellites in orbit. He said that sending a spacecraft beyond Mars would present some hurdles. “The propulsion system needed to carry them over very long distances would have to be very sophisticated and unlike those which are currently available with India. A foreign country will not easily sell such a technology to us,” he added. The occasion was also marked by the release of the book, Development Through Culture written by eminent thinker S Gurumurthy. Published by VKIC, the volume focuses on the traditional cultural strengths of India being used to create and sustain comprehensive economic development in the country. In 1854 Chief Seattle gave a stirring speech about the sanctity of the land and the need for careful stewardship of it. “There is no quiet place in the white man's cities. No place to hear the unfurling of leaves in spring, or the rustle of an insect's wings. But perhaps it is because I am a savage and do not understand. The clatter only seems to insult the ears. And what is there to life if a man cannot hear the lonely cry of a whippoorwill or the arguments of the frogs around a pond at night. I am a red man and do not understand. The Indian prefers the soft sound of the wind darting over the face of the pond, and the smell of the wind itself, cleansed by a midday rain, or scented with the pinon pine. Whatever befalls the earth befalls the sons of the earth. If men spit upon the ground, they spit on themselves. This we know - the Earth does not belong to man - man belongs to the Earth. All things are connected like the blood which unites one family. Whatever befalls the Earth - befalls the sons of the Earth. Man did not weave the web of life - he is merely a strand in it. Whatever he does to the web, he does to himself”. Green Rameswaram movement is a small effort like a Rama’s squirrel in making people understands that they are part of the web – part of a bigger whole. We seek all stakeholders active cooperation in this sacred mission. Governor of Nagaland P. B. Acharya visited the Doyang Hydro Electric Plant (DHEP) under Wokha district of Nagaland on 8th Nagaland 2016. He has congratulated the officials of the power plant for their good performance and also interact with the faculty members of Vivekananda Kendra Vidyalaya (NEEPCO) Doyang. 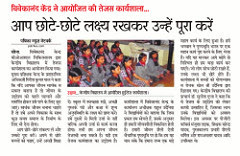 VKV students performed band display and the faculty members demonstrated computer aided class facility which the school was providing to the students. The governor also presented a book on India’s contribution to the World Thought & Culture. 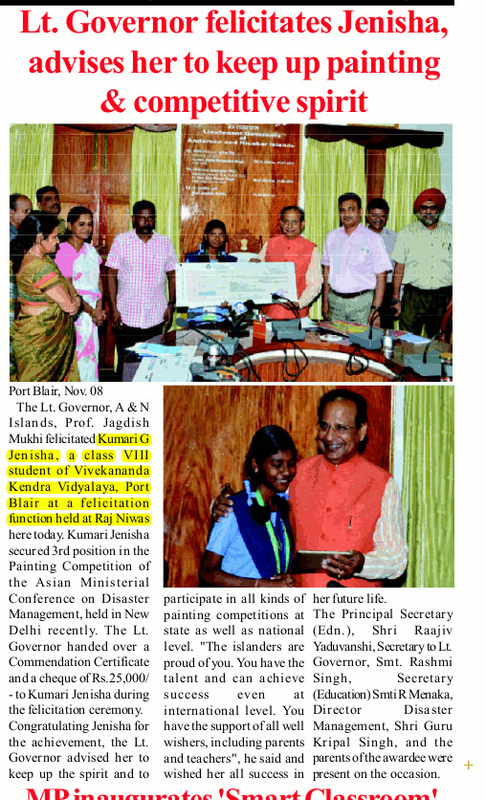 VKV principal, Lukumoni Borthakur delivered the welcome speech. Matri Sammelan was organized at Vivekananda Kendra Mangaldoi on 4th nov 2016. 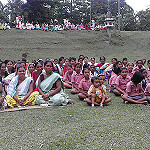 150 mothers had been participated from 2 villages. 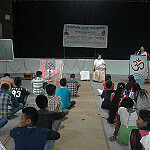 Sammelan was started with invocation, bhajans followed by games and session on Sister Nivedita. Pariwar Sammelan was organized at Vivekananda Kendra, Karanwati on 4th Nov 2016. On this occasion Ma. Hanumanthraoji (All India Treasurer of Vivekananda Kendra, Kanyakumari) addressed the gathering. 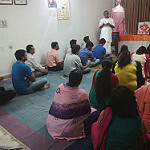 The program was started with Bhajan and end with dinner. On the eve of Gandhi and Shastri Jayanti the Vivekananda Kendra Vidhyalaya, Tezpur tried to make its children cognizant of the contentment one can achieve by giving and urged them to give the things they don’t use anymore and yet in good condition, viz. clothes, sweaters, shoes, toys, tiffin/pencil boxes etc. 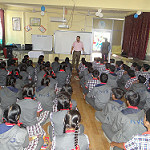 The students showed sheer enthusiasm and we collected a reasonable quantity of donatives in two days. We intended to distribute the collection among some of the disadvantaged children of Baahbari Village on 5 th October, 2016. We were all set to go for it but we encountered a little difficulty in making the computerized banner for the occasion due to day long power cut in the town on that very day. 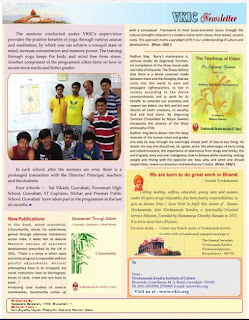 However the problem was solved easily by the effort of some of our creative teachers and students. They instantly prepared the logo for Daan Utsav and a “manual banner” was all ready. Then we went to the village and felt fulfilled to see some 70 children waiting for us in the Anandalaya. First the children were greeted with a lead and follow song and then the distribution of the things started. After completing the distribution we all gathered for a group photo. The children were euphoric. We got a precious return against our small effort- their Smiles. The divine smiles. We returned with our minds full of bliss. 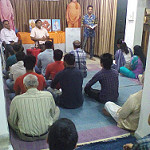 Kolkata 27th October Ramkrishna Mission Cultural Institute and Nivedita Mission jointly organized Nivedita Smarak speeches on the eve of 150th birth anniversary of Bhagini Nivedita. Nivedita mission organized essay writing competition in eleven schools of Kolkata and choose the best student from each schools. The Eknath Ranade proskar was handed over to the mothers of the students and it is the Educational equipments like dictionary, globe , geometry box pen and copies for one year. 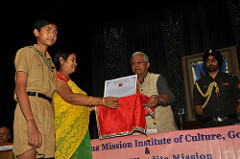 The Pruaskar was handed over by Sri Tathagata Roy Hon Governor of Tripura. In this evening Sister Christine Proskar was also handed over to the girls for Rangoli competition. Dignitaries present in the function was Sri Kesharinath Tripathy, Hon Governor of West Bengal, Swami Balavdrajinanda Maharaj Asst secretary of RKM ,Swami Suprananandaji Maharaj, Swami Tyagibaranandaji and Sri S.S. Aluwalia state minister Agriculture and parliamentary affairs Govt of India.